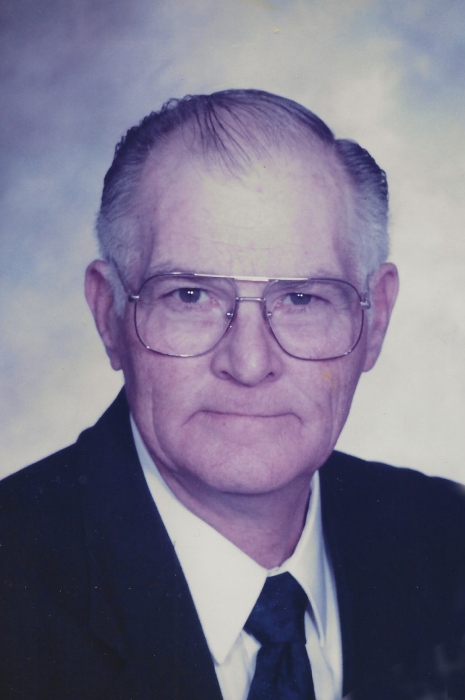 Visitation, with family present, will be Friday, March 29, 2019, from 5:00-7:00 p.m. at Olson~Powell Memorial Chapel. A Memorial Service will be Saturday, March 30, 2019 at 10:30 a.m. at Olson~Powell Memorial Chapel with Pastor Jeff McPheron, officiating. Memorials may be directed to Katie and Baker Kongable Pringnitz to assist them following the loss of their husband and dad, or Midwest Electric Railway for the restoration of Trolley # 381. Born June 25, 1936 in Mt. Pleasant, IA, John Dewain was the son of Hugh Dewain and Mildred (Schenk) Mathews. He graduated from Mt. Union High School in 1955. On August 23, 1957, John married Helen Kirk Phelps. She preceded in him death on October 12, 2017. John was active in 4-H and Boy Scouts, earning his Eagle Scout. He was also an athlete in high school, and as an adult carried his love of sports into the community by coaching and mentoring youth in Little League and umpiring. Hardworking, John, spent time as a carpenter and mechanic before focusing solely on farming where he became a well-respected and knowledgeable farmer, proud to own Century and Heritage Farms. For 47 years, at Midwest Old Threshers, John enjoyed meeting and talking to people while driving his favorite trolley # 381. At an early age, John, learned how to overcome obstacles, which instilled in him the fortitude to create a legacy through his farms, for his children and especially his granddaughter, who he was so proud of. John is survived by a son, Jeff (Lennis) Mathews of Wauwatosa, WI; a daughter, Susie Mathews of Mt. Union, IA; one granddaughter, Jessica Mathews of Wauwatosa, WI; and one sister, Margaret (Don) Long of Knoxville, IA. Preceding John in death were his parents and his wife.